Vectorfresh, the new online Vector Only Agency has recently opened with its fantastic early bird discount, and now we have a special link that will bag you an EXTRA 10 DOWNLOADS ON YOUR FIRST MONTH. This will let you download a total of 110 vectors in the first month (and 1210 in your first year) for only $49/year. 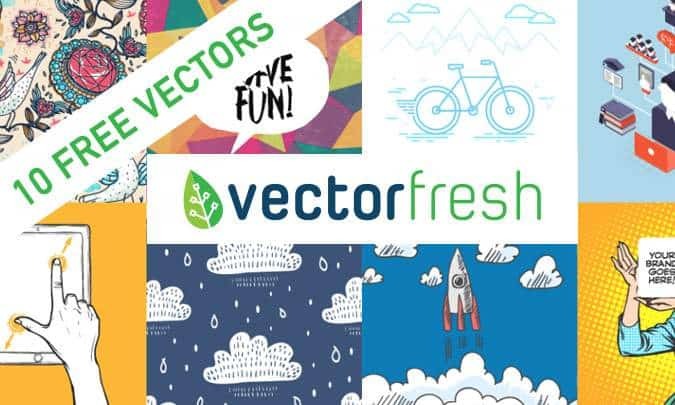 With a massive, constantly expanding library of well over 1 Million Vector Graphics covering almost every category you can think of, Vectorfresh has the perfect Vector for every project! See what a Vectorfresh subscription can offer you! And with our special link you will receive an EXTRA 10 VECTORS in your first month! Now I'll walk you through the registration process to show you just how easy it is! Step 2, Just fill in your card details or click on the PayPal icon to complete your payment, and it's as easy as that, your 10 EXTRA GRAPHICS will be automatically added to your account for you to use straight away! So what are you waiting for? Click Here to get your subscription today and claim not only your early bird discount but your 10 EXTRA VECTORS today! And after downloading your new vectors, why not check out our Adobe Illustrator Alternatives for some cheap, and even free software to edit your favourite graphics!